Functions as both task and general lighting. 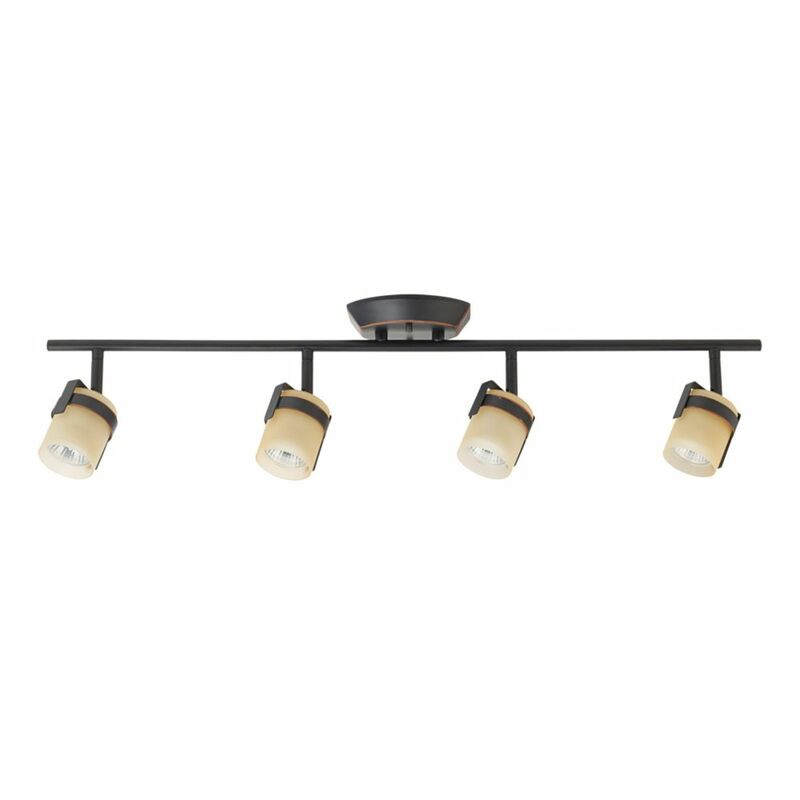 The modern design of this 3 light wave bar track fixture compliments many styles and decor. Installation requires a standard 4 in. junction box supplied by 120 volts of power. This fixture will add a timeless look at a great value for years to come. Add style and class to any room with Hampton Bays Curved Three Light Halogen Track Light with Frosted Glass. Featuring attractive adjustable heads for easy positioning, this fixture will add appeal your paintings and decorations. With its smooth design and soft light, this fixture is the perfect complement to any decor. This LED light bar has a brushed nickel finish. Featuring long life LEDs. With LEDs there are no lamps to replace, saving time and money normally spent in replacement costs. Rotating and pivoting heads allow you to direct the light where you need it the most. This product is dimmable. Please see instructions for list of compatible dimmers. The modern design of this 3 light round ceiling fixture compliments many styles and decor. Installation requires a standard 4 in. junction box supplied by 120 volts of power. This fixture will add a timeless look at a great value for years to come.